Let's be honest, selling a car is a hassle. You either set up ads on a website like Craigslist and meet strangers in the comfort of your own home (making it very uncomfortable) or you drive out to meet the stranger at a mutually decided location. You spend your valuable time with ZERO guarantee that they will buy your vehicle. Good news! There is a better way! Get your car appraised and watch as the friendly representatives from SellMax (a licensed car retailer) drives away with your newly sold vehicle. That's right. SellMax will write you a check, and more often than not —on the same day your car is appraised. All this done in the comfort of your own home. Did you want to lay in bed all day under the warmth of your soft covers instead of selling your car? Now you can do both! Get Cash for Cars in Temecula! Do you live in Temecula? Now — in your own neighborhood, we buy cars allowing you to sell your car without the stress of shopping around. Still not convinced. Don't worry, I wouldn't be either. It's 2015 and companies really need to take it to the next level. 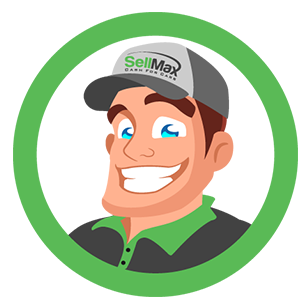 Why should you sell your car to SellMax? We are a licensed company. No more dealing with strangers in the comfort of your own home. We are very fast. More often than not, we can buy your car on the same exact day you get it appraised. Is your car broken down? Don't worry, we will tow it away for free! Our company founders, Tom and Tony, have decided on a "buy all cars" policy. Do you have a problem with your car? That's alright, we'll buy it anyways! Do you still owe money on your vehicle? We will pay the remainder and give you the leftover cash! Founded in 1990, SellMax is a company who understands one very important thing that the car industry has forgotten —premium customer service for every car seller is the number one priority. Why have other industries adapted to this mantra but the car industry has remained stagnant? We don't know. That's why our founders, Tom and Tony, have started a "cash for cars" company because they believe there is a better way. Why should someone toil away with hours with no guarantee that their efforts will prove fruitful? Why should you have to argue with a salesman over the price of your car? Why should you feel like an enemy instead of a friend? By solving these issues, SellMax has expanded all over the United States becoming a national buying retailer for "all cars." This service is now offered in Temecula, California. We can buy your car for a premium price. Are you wondering how? Let me explain. We will be able to give you a premium price for your vehicle. Is your car junk or damaged? Don't worry, you can still sell your car! Remember, SellMax has a "buy all cars" policy. We can reach a great price for your damaged vehicle and take it off our hands. No more dealing with repair bills and wasted space! Once our systems have received the information, our industry proven software will calculate the premium price for your vehicle. Afterwards, you can schedule an appointment, even on the same day! Doesn't matter if it's at home or at work —we'll be there! Our representatives will meet you at the location agreed upon. Mountains of paperwork, too many hours spent, constantly questioned about the validity of your answers — not with SellMax! With a little a paperwork and a quick check of your vehicle, our experts will be ready to take the vehicle off of your hands! No negotiating. No questions. No strangers. Only straightforward and friendly people coming to make an exchange. Don't worry, there are no obligations. At any time before the transaction, you can change your mind. We know that selling a car is a large decision. We just want to help you do it right! Arguably the best part! You get your money and you get it fast! Afterwards, no matter what condition your car is in, we will tow it away with absolutely NO HIDDEN FEES. That's right. We aren't here to make a little extra cash. Sell Max believes in premium customer service. 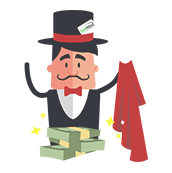 Let us help you get the cash you want, for the vehicle you no longer need. Quick and easy! Is it Time For 2015? As I said, the car industry has remained stagnant for too many years. Is this your concern? Well, not really. But our concern is that we provide you the best customer service, the best car selling service, and the best experience you deserve right from the beginning. Your time is valuable. Your money is valuable. Your car is valuable. We respect all these things and through our company we can buy your car for a premium price due to our small overhead, and quickly too! You deserve the best.Don't waste your time any longer. In Temecula, we can buy your car quickly, professionally, and at the right price. It’s time to take advantage! Click the button below and have your car appraised for free! I was involved in a car accident with my car. I was unwilling to invest the amount required to fix it, and I needed to sell my car. 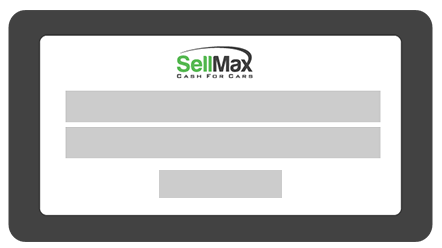 I researched a lot of options in Temecula which led me to find SellMax. They were by far the most professional car buying service I came across so I decided to call them. They gave me a fair price for the car, and even arranged to have it towed away from my house. All in all they got me out of a difficult situation and I am glad I found them.